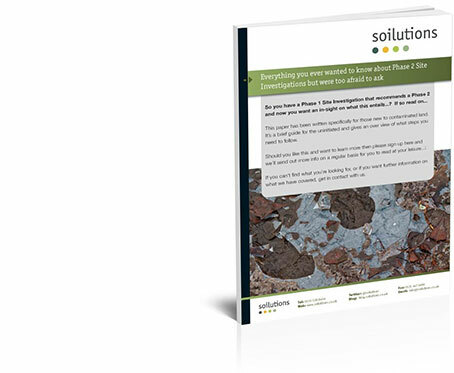 Download 'Everything you wanted to know about Phase 2 Site Investigations but were too afraid to ask' now! So you have a Phase 1 Site Investigation that recommends a Phase 2 and now you want an in-sight on what this entails? This paper has been written specifically for those new to contaminated land. It’s a brief guide for the uninitiated and gives an overview of what steps you need to follow. Phase 2 investigations would call for collection of soil, groundwater (and possibly surface water), vapour or gas monitoring to confirm sources of risk but also confirm that pathways are in action. Why is a Phase 2 necessary? What is a Phase 2? What is a Quantitative Risk Assessment? What does an options appraisal look like?